Making the lifestyle changes necessary to lose weight and keep it off is challenging. 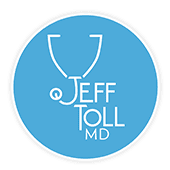 If your journey toward a healthy weight has had too many valleys and not enough peaks, contact Jeff Toll, MD, in Los Angeles for weight loss support and advice. His holistic approach to medicine and well-being can help through customized weight loss programs to help you reach your goals and improve your health and wellness. Call or schedule an appointment online today. Being overweight or obese is linked to over 50 different diseases, including high blood pressure, diabetes, heart disease, cancer, and infertility. Carrying extra weight is also hard on your joints and can make conditions like arthritis more painful than if you maintain a healthy weight. These conditions can have a significant negative impact on your quality of life and lead to disruptive symptoms and serious health problems. Many people think about losing weight to look better, but getting rid of extra pounds also provides a wide range of health benefits. If you’ve tried to lose weight before with fad diets or attempts to restrict your calories, you probably lost a little weight before ending up feeling hungry and deprived and returning to your normal eating habits, only to gain back the weight you lost and then some. With Dr. Toll’s support, you make changes to your eating habits, but these changes are sustainable and never leave you feeling deprived. He partners with registered dieticians to ensure you get all the vitamins and nutrients you need for optimal body function. He also works with you on stress management techniques and counseling to identify your triggers for overeating and developing strategies and coping skills that help you remain in control. What should I expect during a weight loss program? Dr. Toll begins your weight loss journey with a comprehensive exam, including blood work to assess your hormone levels and to check for signs of diseases or metabolic disorders that could inhibit your progress. Then, he works with you to create a personalized holistic weight loss plan that takes every aspect of your health into account. You have regular appointments with Dr. Toll throughout your weight loss journey. He provides advice and support to make the necessary changes to your diet and exercise habits to lose weight. He also helps you reform your relationship with food so that when you reach your goal, you maintain your weight loss with a healthy, balanced diet and regular exercise. Dr. Toll can prescribe medication to help you lose weight. He also treats underlying hormonal imbalances and health conditions that can slow your progress. He wants to help you improve your total well-being while you’re also improving your health. Call or schedule an appointment online today to start your weight loss journey.